For many youth and young adults in Maryland, the future doesn’t look bright. They lack the necessary education, work and life skills, and employment opportunities that could get them out of dire circumstances to build a better life. Some call them “disconnected youth.” Nearly 6.5 million teens and young adults (ages 16 to 24) in the United States are neither in school nor employed, according to the Annie E. Casey Foundation. The 2015 economic data from the U.S. Department of Labor found national unemployment among youth at 10.5 percent. Among Hispanic and black youth, the statistics are even more sobering, nationwide at 12.4 percent and 19.2 percent unemployment, respectively. Maryland ranked 20th among states with the highest annual average unemployment among all youth, at 12.2 percent. Data for 2016 has yet to be released. The economic outlook remains critical for Baltimore’s youth, with those age 20 to 24 facing a 22 percent unemployment rate, according to the latest five-year U.S. Census Bureau American Community Survey. Among young black men in that age range, a staggering 37 percent remain unemployed, nearly four times the national average for young white men, at 10 percent. For too long, traditional trades have been shuttered in Maryland’s public school system in favor of college-based programs. Unfortunately, the focus on college to the exclusion of other viable means of securing well-paying employment has particularly harmed our most vulnerable and struggling youth. Following the recession, the greatest increase in employment was in the retail and fast food sectors, according to the Annie E. Casey Foundation. These jobs don’t pay enough and don’t provide enough of an upwardly mobile career path for young adults to build a secure future. Skilled trade jobs do. An apprentice today can be a master craftsman tomorrow can be a construction owner in the future. We’ve seen it happen. The construction trades help build careers and lives. Not surprisingly, there’s a skilled trade worker shortage in construction nationwide. Why do away with educational programs where there’s a demand for skilled workers? It doesn’t make sense. If Maryland wants to build its workforce and grow its economy, we can and should do better by our youth. That’s where programs like Project JumpStart come in and make a difference. 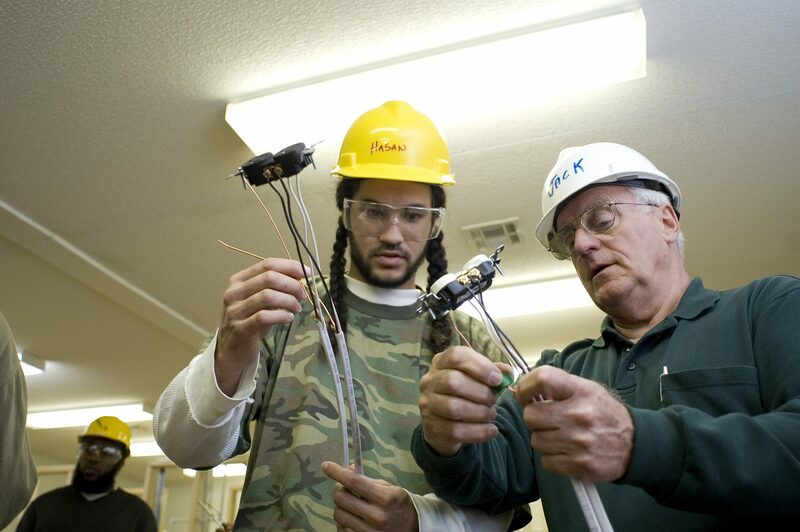 Now in its 11th year, the 89-hour pre-apprenticeship training and placement program continues to work with Baltimore residents, including young adults, who would otherwise be shut out of the industry. If you talk to people about workforce development, most programs, sadly, don’t get people jobs. The only people benefitting are those that get the training dollars. And when you ask other organizations, what about jobs, they say ‘Well, that’s not our role.’ Project JumpStart takes its mandate to help everyone who wants a job, get one, very seriously. Since the program began, 650 Baltimore residents have enrolled, 80 percent have graduated, and 75 percent have been placed into high-wage construction careers. ABC provides the training and a dedicated job placement director. The program expanded to Prince George’s County in 2015. The bleak employment outlook for Maryland youth, and a nationwide shortage of skilled construction workers, remains a call to action for JumpStart. We can and should do better. And we hope you’ll join us.